They noted in the update they patched the issue and that it will be rewarded back "retroactively" but i have no idea what that means if that means over night, in 3 days, once a fort night, or right away. I tested this on some daily crates I saved and noticed it is somewhat fixed. it's still weird how it is behaving. It sometimes gives me the credits from duplicate card, some times it doesn't. If it does give me credits from back from duplicate card, it will not give me the 75 credits that are just flat credits if so. And sometimes it will take the credits away once I back out of the crate I just opened. Which makes it now even harder to track if they are being rewarded back or not. I would really like to see this bug completely fixed and work normally like every other game where it is immediate and without glitchiness to it as there is now no way to track if i have getting the credits back properly or not now with how it's acting. At least before we knew it wasn't working because we never got anything from duplicates, but now it's just on and off working and sometimes taking it back after rewarding. Open card three (3) first, usually your 15 crafting parts. Then open card two (2), usually the 75 credits. Check your balance, did it go up by 75? I have never had an issue where it didn't. Confirm new balance, open card one (1). If no duplicate, yay, new card! If duplicate, does the 200 (now 300) increase your balance? For me, sometimes yes, sometimes no. Back out to main, does the credit balance revert back to the post-75 credit balance or no? For me, it always does. I will get the 75, but nothing else. Open card (3) first, usually 50 (now 60) crafting parts. Then open card (2) as that is where the random 50 credit cards are usually issued. If credits are issued, record your balance. Those usually stick for me, never had an issue where they didn't. Then open the other cards in whatever order, following the tips above. Dupes sometimes show credits, sometimes not. They are never retained when I back out to the main menu. Open card (4) first, usually 35 (now ?) crafting parts. Then open card (3) as that is where the random 50 credit cards are usually issued. If credits are issued, record your balance. Those usually stick for me, never had an issue where they didn't. Then open the other cards in whatever order, following the tips above. Dupes sometimes show credits, sometimes not. They are never retained when I back out to the main menu. Hope this helps your tracking. Ya i have wasted too much time keeping track and after the patch there is no way to keep track as sometimes it works now and most times it doesn't so i have given up. I checked back on the game just now and it no credits have been added back from where I left off. 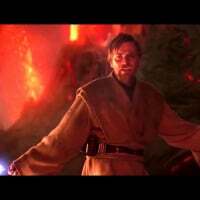 I guess I'm off Battlefront 2 for a while until DLC releases. 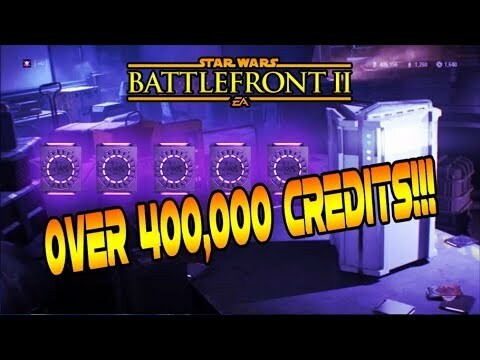 I'm probably missing over 100,000 credits now.